Lots of people think that recording music can only be done in a large professional studio. Not true. You can actually do a lot of quality recording on inexpensive equipment in your own home or on the go. There are tons of options on the market to help you make high-quality recordings on your own. When you are looking for recording equipment, it is important to consider how you will be using it and where. When you have been a musician for over thirty years, you learn that it is possible to do some low-cost recordings outside of those expensive studios. You don’t need professional engineers when you have easy to use and intuitive recording products on the market. These products are fully functional mobile or home base studios that pretty much any musician can afford. Here are a few tips on what to look for in the best studio recording equipment, and a few reviews to help you start shopping. Powerhouse of awesome live capabilities, highpass filter on each aux/channel, accurate delays, detailed reverbs with opulent sound. QMix wireless aux mix control connects with your iPhone and iPod Touch. There are several choices when you are setting up studio recording equipment. Depending on your preferences and situation, each type of setup will have its own benefits. You will find the most home-based studios use a computer instead of hardware-based recording consoles. It is now easier and more affordable to use specialized software that has tons of features and the abilities you would otherwise need a pricey hardware-based setup. Most people usually have a spare laptop or desktop that they could use for recordings. Just make sure that you keep the specs in mind that you need to run the software including enough memory, processing power, and plug ins for peripheral devices. This is a little different than whether you are a Mac or PC person. 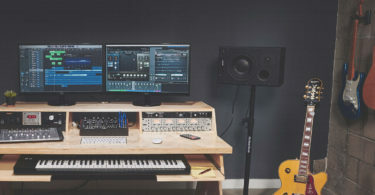 Windows PC’s are able to do what is required for recording, but the Mac is the preference for most recording engineers and musicians, and it is currently the industry standard. The Mac is very reliable and stable due to its strict application standards and controlled designs. Also, many recording professionals love the Mac software and hardware products as they integrate well with other Apple products. 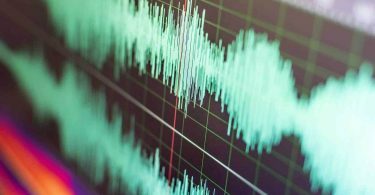 Whether or not to go with a Mac or PC is a personal choice, but it is a little different when you are considering audio recording than it is for general computer use. A Windows PC is definitely able to do the tasks you will need to record, recording professionals love the Mac, but there are many USB audio interfaces and applications that work well with either a Mac or PC. There is something to be said about dedicated hardware when you are recording. Even in this technologically advanced age, dedicated hardware still has several advantages. One of the biggest benefits is its portability. You can’t take a computer with you on location, but, if you want to record on the go, hardware that can record audio will be a must. If you want something that is both portable and versatile, you can buy recording hardware that is also a USB audio interface that can be used you’re your computer. This feature has become very common with many interfaces. Another technological advance in recording is through your iPad or iPhone. There are peripherals specifically designed for this type of recording. You can turn your iOS device into a little recording studio on the go. You will have hundreds of recording, effects, and mastering apps to choose from, so you have unlimited recording possibilities. One of the best parts of having dedicated hardware is actually having knobs and buttons to push. For some people, that is their preference and that is what they are always going to stick with. Having the button, faders, and knobs to use instead of wading through software that has multi-layered to find what they are looking for. If you do choose a multitrack recorder, make sure you are getting some that will record the number of tracks you need for your project. It should have MIDI, audio, actual, and virtual features, plus that you can record and play back at the same time. You should be able to do some editing and mixing with all but the most basic multitrack players. One main consideration is the type and number of inputs and outputs your recorder has. You will need sufficient inputs for all the connection types you plant to use that may include XLR, TRS, ¼”, MIDI, balanced, unbalanced, Hi-Z, RCA, surround sound, word clock, S/PDIF, ADAT, AES/EDU, and phantom powered for condenser mics. You will also find that most records will also have FireWire, USB, or Thunderbolt ports. Make sure you already know all the mics, gear, and instruments that you plan to connect and how they need to connect to the recorder. One thing to check is the specs you need for bit rate and sampling frequency that is processed by the analog-to-digital (A/D) converter. Basically, the higher the audio quality, the higher the number you will see. 24-bit converters are a professional recording standard and 16-bit/44.1kHz for a CD standard. You get more headroom and higher frequency response with higher sampling frequencies and those are important audio issues for professional recordings. When you are looking at the mixer section, it is important to look at the quality and type of control it has. You want faders, knobs, meters, EQ, and sends, and, if you don’t see a mixer section, then you will also need to purchase a mixer. Multitrack audio can use up a lot of storage, so it is important to keep that in mind when you are shopping. There are a few recorders that will let you record to an external storage device, or it can store track on a hard drive or flash memory. Other features that can add to your recording options are a built-in effects processor, a separate mastering section, modules that generate instrument sound, an internal MIDI sequencer, and an onboard CD burner. Also consider how easy it is to use and how intuitive the layout. If you have a simple recording project, an easy and simple choice is either a field or handheld recorder. These are smaller devices that have condenser mic that will give you a quality recording, and recordings are stored on a removable flash drive making it easy to transfer files to your computer or burn a CD. If you decide to use a computer for your recording, you will need to connect a bunch of stuff to your computer. You will need to purchase an audio interface to be able to connect all those things in, which will also handle the important function of converting the analog audio signals into digital with a digital (A/D) converter. An audio interface will also change the digital signal that your computer receives into an analog signal using a digital to analog converter (D/A) that gives you playback through to your headphones or monitor speakers. When you choose an audio interface for your computer, you want to make sure they are compatible. Make sure to see how it will connect to your computer and find out what the manufacturer’s system requirements are for the audio interface. Another thing to consider is the type and number of your inputs and outputs available on the interface. Make sure to check and see how many channels of audio that you have that will record and playback at the same time. Even though you are using a computer interface, you will find that some still have hardware control or software controls, or both. These can also include mixer software that will control the routing of the level meters and the I/O. Latency can be found in all computer audio interfaces, but the really good ones will have so little latency that you won’t notice it. 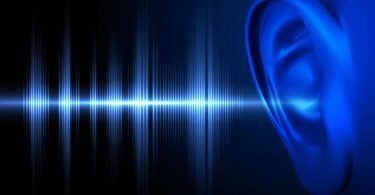 You should also see that really good computer audio interfaces will have some way to control and measure latency, and they will also have some sort of workaround like hardware signal monitoring. 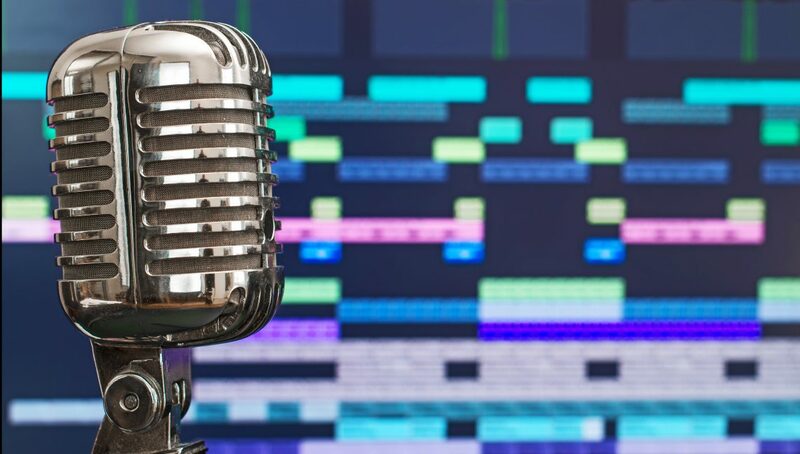 If you have too much latency in your interface, it is almost impossible to have typical multitrack operations like real-time monitoring or overdubbing. If your computer is slow, this can also contribute to latency issues. 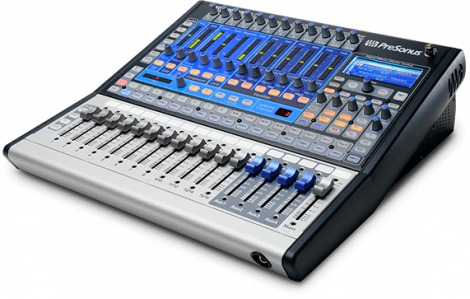 The PreSonus StudioLive 16.0.2 is a great choice for you next compact digital mixer. It gives you an unrivaled freedom to work how you choose by using a mixer that is a powerhouse of awesome live capabilities. It has QMix wireless aux mix control software that connects with your iPhone and iPod Touch, plus immaculate recordings. StudioLive comes with 16 line inputs, MIDI I/O, 4 aux mix buses, and 12 crystalline XMAX Class A mic preamplifiers. This is a huge console in a tiny package with PreSonus’ acclaimed Fat Channel signal processing that has a highpass filter placed on each aux and channel. It also comes with a gate, compressor/limiter, 3-band parametric EQ on each channel, FX bus, main output, aux output, and a phase reverse for each channel strip. Onboard effects provide you the instruments to creatively design your musical ideas. There are time-based effects presets and 32-bit floating point stereo DSP effects engines that are jam packed with fifty delay, reverb, and time-based effects presets. The delays are accurate, the reverbs are highly detailed with opulent sound, and you are reminded of the old tape delays with the slap echo. Plus, you get a stereo graphic EQ with 31-bands throughout the main outs that let you adjust for loudspeaker response and specific room acoustics. QMix allows you to operate your mixer’s aux from either your iPhone or iPod, and performers can even create their own mix with their individual phones. The Wheel of Me allows you to choose several Me channels and fine-tune their levels at the same time with either your PC or Mac and the PreSonus Virtual StudioLive software. The Fat Channel has visibly marked knobs with a LED display that is a multifunction 16-ladder LED, separate pan display, and a Selected Channel readout. You can also store and recall in every setting or save Fat Channel settings, or just copy and paste settings throughout buses or multiple channels and save individual DSP effects. Virtual StudioLive (VSL) gives you a total illustration of your mixer and allows you to operate your mix with a Mac or Pc that is connected to FireWire. And, the best part, it can be done wirelessly from iPad. This compact digital mixer is available for around $900. The Tascam Portastudio DP-03SD is the latest Portastudio digital recorder that can record two channels at the same time up to eight channels total. The DP-03SD can export your mixes to a computer with a USB or it can record 16-bit/44.1kHz resolution audio to SD/SDHC cards. It comes with two mic/line selectable XLR inputs, plus a dual 1/4″ line ins that allows one to be used as an instrument input. Eight channel faders and one master fader give you the ability to do hands-on mixing, and the reverb and built-in EQ compression let you form your tracks. You receive CD quality recording that are captured on inexpensive SD/SDHC cards, plus a 2GB card comes with the recorder. The DP-03 gives musicians everything their need to share and record their music with mastering, effects, and built-in microphones. The DP-03 also has a pair of stereo condenser microphones that is built into the front panel allowing it to record songwriting ideas, rehearsals, or live performances. A pair of high-quality XLR microphone preamps includes phantom power for condenser microphones, and 1/4” line inputs are also available, as are a three button footswitch, the RC-3F, and an instrument-level switch which lets you record either bass or guitar without the needs of a direct box. It is simple to route input to one of the eight tracks, and it is even possible to record two at a time until all eight are filled. A built-in metronome and tuner give you impressive sounding tracks that each come with a devoted button for fast access. 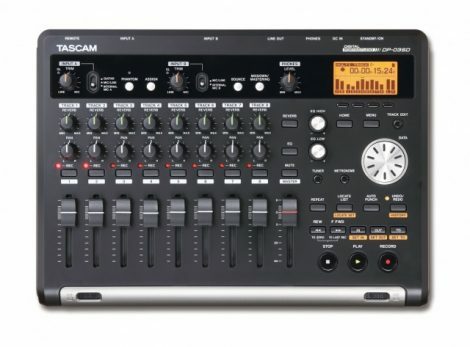 The Tascam Portastudio is available for the affordable price of $300. The PreSonus SLM3244AI digital mixer package gives the ability to do live mixing with essential recording features all in one nice package. The PreSonus StudioLive 32.4.2AI is a powerful 32-channel digital mixer with an upgrade that lets you go to the next level of a full-featured studio. You also receive a pair of Sennheiser HD 280 headphones to make your next mix easy and clear. The PreSonus StudioLive 32.4.2AI 32-channel digital mixer will help you take your live mixing to the next level with a full set of very useful studio-quality recording instruments including sixteen PreSonus XMAX microphone preamps, and an Active Integration onboard DSP. It also provides great sound quality and adaptable processing. Plus, native LAN, with Wi-Fi, and extensive FireWire 800 recording capabilities allow easy remote control operation and recording. You get more smart features with the PreSonus Studio One 3 Professional that includes a large drag-and-drop functionality, plus multi-touch support. The Arranger Track with Scratch Pads allow you to experiment as much as you want, and the upgraded Browser allows you to preview, drag, and drop tempo matched backtracks, effects, instruments, samples, and presents. The PreSonus Studio Live also includes Sennheiser HD 280 Pro monitoring headphones that are preferred by recording professionals, two Class A XMAX microphone preamps that give you studio-quality sound, USB wireless LAN that allows you direct wireless remote control from your computer or iPad, and four onboard digital effects processors that gives additional dimension to your recording. The integrated FireWire 800 interface allows you easy recording, and the two Fat Channel processors give you a highpass filter, limiter, 4-band parametric EQ, and gate and compressor for each channel. 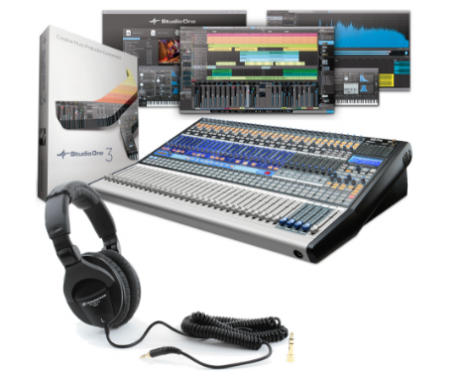 The PreSonus StudioLive is available for around $2,400. The Tascam DP-008EX makes 8-track productions easy and gives you all the tools you need to record right only an SD card. It has an intuitive design, and it allows you to record up to two tracks at the same time. It has built-in stereo mics, dedicated channel controls for pan, effects, and level, plus inputs for synthesizers, guitars, and mics. After you are finished recording, you can export your tracks to your computer with the USB connection. It is simple to record your inspirations and build them into a full production. The DP-008EX uses Tascam’s years of experience to good use in this recorder with no difficult menus to operate easy tasks, just simple knobs to record, track levels, effects, and pan. The DP-008EX also has built-in stereo microphones with 2 XLR microphone inputs, including phantom power that lets you capture high-quality sound when you plug in your own microphones. You also have 2 1/4″ inputs including one that allows you to plug in a bass or electric guitar. There are also convenient extras like the guitar tuner, built-in metronome, the 1/4″ footswitch input, and the awesome stereo reverb effect. You also have the simple file transfer through the USB connection, and the ability to store your recording on the included 2GB SD card. 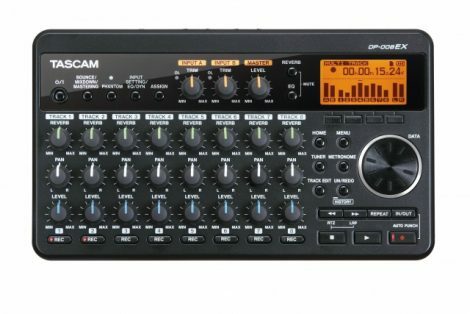 The Tascam DP-008EX is available for under $200. The iTrack Dock Studio is the coolest new way to make studio-quality recordings on your iPad. You have tons of connection options with a dedicated iPad recording dock. Also included with the iTrack Dock Studio is closed-back headphones and a large-diaphragm condenser microphone. The iTrack Dock includes two microphone preamps, a high-quality XLR cable, a condenser microphone, and a professional quality set of closed-back headphones.it also has great quality 24-bit audio that gives you sample rates of up to 96kHz. It is simple to use by just docking your iPad and connecting the headphone and microphone. 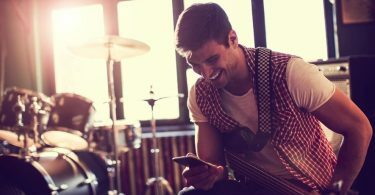 You can plug your instruments right in and use your favorite app to begin recording. 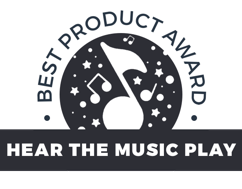 The included headphones were created specifically for mixing and recording, and they are great for blocking out the surrounding noise so you can focus on your work. Focusrite, the free iPad recording app, is very easy to use and versatile. The gain knobs have a unique feature where they go from green to red if you are getting too loud, and the headroom instrument input allows you to record instruments without worrying about distortion. You can add powerful audio to your apps with the stereo outputs, and you can easily switch to latency-free monitoring with the dedicated headphone and monitor controls, which is great when you are capturing vocals. All you have to do is plug in your instruments and you are ready to record high-quality 24-bit audio that has sample rates of up to 96kHz. You can use your favorite recording apps, or iTrack’s easy to use Tape app. It can be used on the iPad Mini, iPad Air and Air 2, and the iPad 4th gen. The iTrack is available in the mid $200 range. The Universal Audio UAD-2 Satellite USB QUAD Core DSP Accelerator allows you so super charge your computer workstation with superb plug-ins from Lexicon, Manley, EMT, SSL, Studer, Neve, and Ampex. It has USB 3 SuperSpeed technology and four SHARC processors combined with the UAD-2 Satellite USB QUAD Core giving you a lot of power with reduced latency. Universal Audio’s UAD-2 Satellite USB QUAD Core DSP Accelerator gives you state of the art DSP technology with added power to produce your inspirations. All four of the SHARC chips include 32-bit floating-point architecture that gives you accuracy and performance even in the most challenging recording situations. The Universal Audio’s UAD-2 Satellite also contains a legacy version of UA’s flagship 1176, the PultecPro EQ, Preamps and EQ, Teletronix LA-2A compressors, the Analog Classics Plus bundle that also includes the CS-1 channel strip and RealVerb Pro, and plug-ins. If you need more plug-ins, they are available to be purchased separately at the UAD store. The Universal Audio is available for around $700. 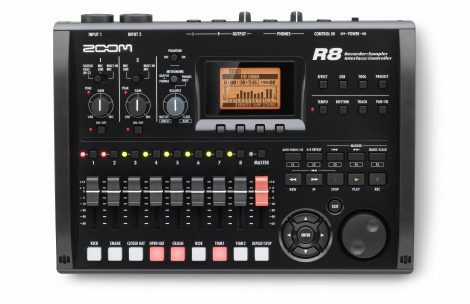 Zoom R8 is a great multitrack recorder if you have a studio on the go. It is a very compact recorder that gives you great features you can use anywhere. It includes effect, I/O, and a looper/sampler, plus it acts as a fully loaded standalone recorder. The Zoom R8 has a compact size that gives you a lot of power. It includes a set of combo jacks that provide the ability to hook up to any microphone, including condenser mics, or just going direct. There is also a set of great sounding mics, so you don’t have to carry around a lot of gear. Plus, it has over 140 effects that is built-in studio-style that improves your sound, and it is very intuitive containing lot of recording options. The Zoom R8 is an incredible multitrack recorder that is battery-powered, so it is perfect to use anywhere. You hook up the R8 right to your computer with a USB to create a high-quality 2-channel audio interface. Plus, it has a great hands-on control surface making it incredibly versatile, and it works well with almost any type of recording software. You can get extra inspiration from a pre-recorded drum loop that is only part of the fully loaded sampler/loop workstation. You can easily trigger eight different sampler voice from the built-in pads, so you can create awesome new grooves. The sampler/loop workstation includes over 500 drum patterns, and it includes 500MB of loops from Big Fish Audio. The Zoom R8 also includes 8-channel playback with the ability to record two channels at the same time. Two tracks have 48V phantom power available, and there are over 150 DSP effects that include mastering effects and guitar amp models. It records up to 32GB SDHC, plus two balanced XLR-1/4″ combination inputs, and it syncs 2 R8s via USB for 4 tracks of recording at the same time. Zoom R8 records in WAV 48kHz/44.1kHz at either 16-bit or 24-bit, plus it has high-definition 24-bit/96kHz recording capability that uses digital audio software. Full mixing and transport controls for Logic, Sonar, and Cubase, 2 in/1 out (2 x 1) via USB connection with a USB Control Surface that utilizes Mackie Control emulation, a loop-based audio sequencer, and a pad sampler with 24 voices. This is an affordable recorder for only $300. The Apple Mobile Recording Bundle with an iRig keyboard and an audio interface that comes with an iPad and headphones. The Beyerdynamic DT 770 STUDIO Headphones has awesome isolation to keep out the surrounding sound from your microphones and monitor mix. It has crisp highs and big bass that will keep you inspired through every recording session. They are handmade in Germany, and the earpads, cable, and headband are replaceable, so this set of headphone will last you a lifetime. The iRigPowerBridge by IK Multimedia is a continual charging system for iPad, iPhone, and iPod touch with digital iRig accessories. It includes an audiophile grade low noise power conditioner that offers you several connection options, plus other advanced features. 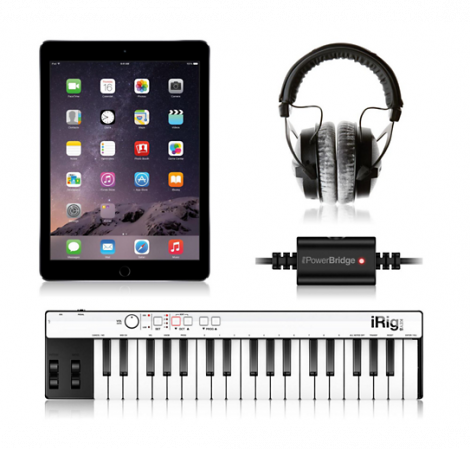 The iRig is also includes improved hardware innovations including a convenient keyboard that has a universal MIDI controller for eithera Mac or PC, or an iPad, iPod touch, or iPhone, and Mac/PC. You can connect with a 30-pin connector, the iOS device’s Lightning connector, or your Mac or PC’s USB port. There are also a full 3-octave range plus one note and 37 velocity-sensitive mini-keys that takes up very little space on your desk and is easy to carry in a bag. With the built-in features and over 800,000 app design, the Apple Recording Bundle unlocks a ton of possibilities for your recording sessions. It also includes front and rear facing cameras, a lovely Retina display, 64-bit desktop-class architecture, plus the advanced features of iOS 8. You can also choose up to 128GB of storage, so you can load apps, photos, and music. The Apple Mobile Recording Bundle is available in the low to mid $900’s. When you are looking at studio recording equipment, it is most important to consider how you are going to use it, so you can make sure what you end up buying will actually cover all your needs. Take your time to do your research and you will the best studio recording equipment for you among the many options on the market.